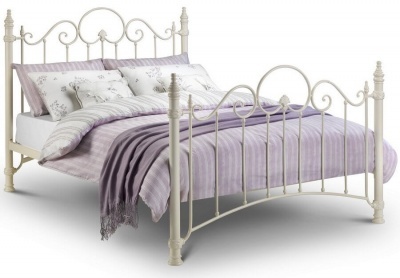 This truly magnificent bed frame looks fantastic with traditional and modern decor schemes. 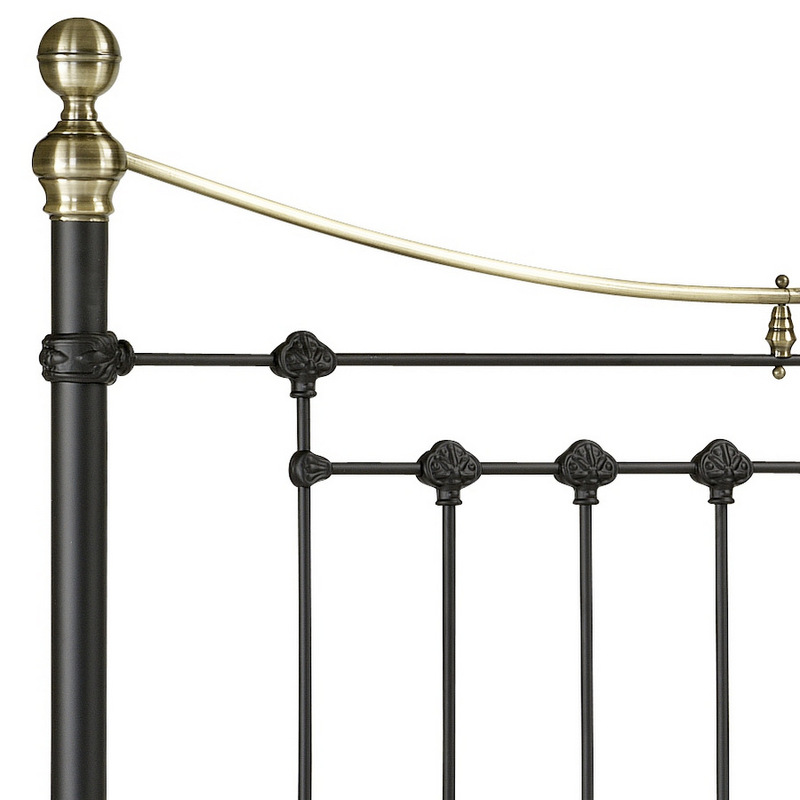 Satin black finish with brass embellishments adding to the luxury feel of the piece. 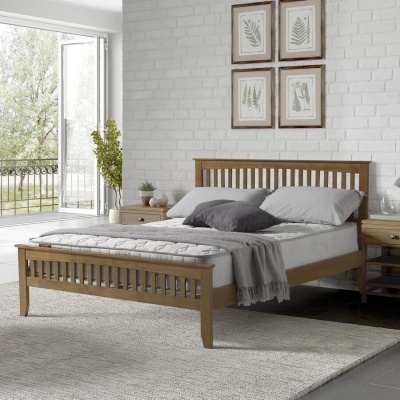 Sprung slatted wooden base for added comfort and mattress life. Foot-end height - 102 cm. 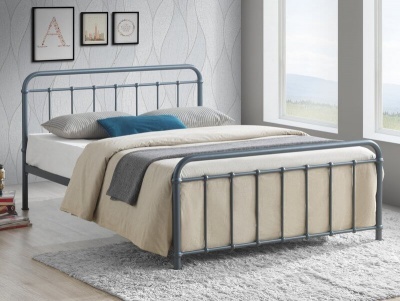 Mainly constructed from powder coated steel. Flat packed for easy home assembly, full instructions included. No extra tools required. 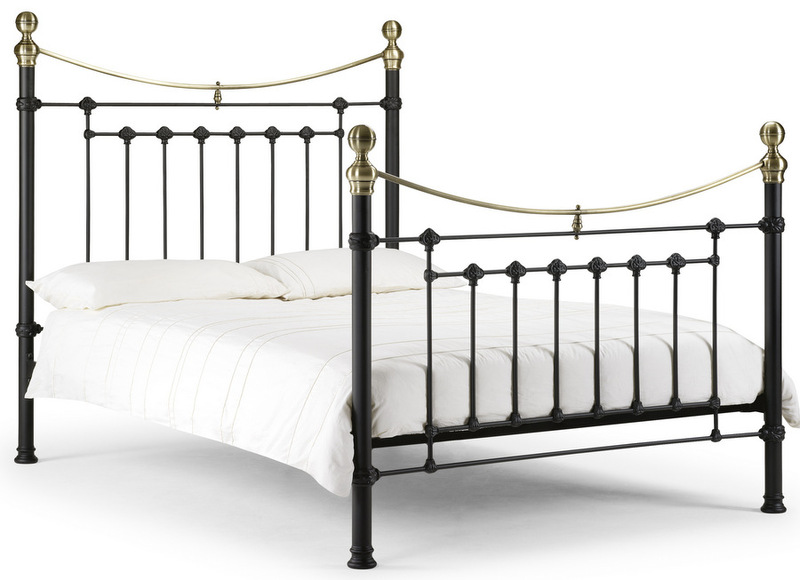 No need to struggle, the Victoria bed frame is delivered by a two man team to a room of your choice.